Toronto, Canada – Hexagon has named York University a Smart Change Honouree for 2018. 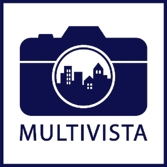 York University has partnered with Multivista on over 15 visual documentation projects. The primary focus of this partnership is not only to utilize construction documentation services, but also continue to innovate the construction industry through green building to renovate and manage their facilities for years to come. York University is recognized on a global scale for sustainable construction in higher education. It is the third largest university in Canada which is internationally ranked in the top 15 universities for business research. We’re proud to partner with this amazing leader in education. You can learn more about this honouree by going to Hexagon’s website here. Learn more about Hexagon and Multivista here.